No one likes a martyr, Becky. 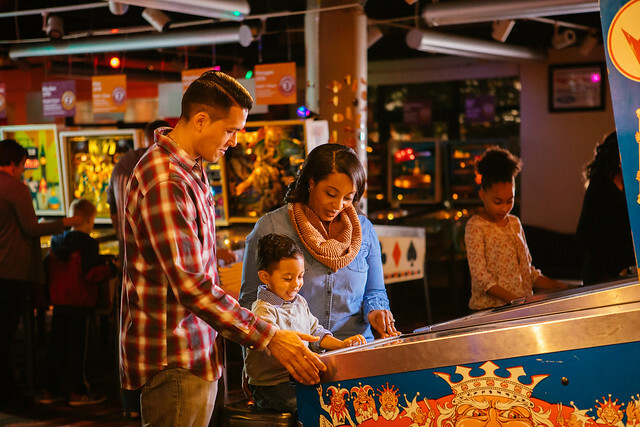 Go ahead and take Friday off – with the family – and getaway to Virginia’s Blue Ridge. You’ll be more productive, and besides, you need and deserve a break. And what kid wouldn’t want to skip a day of school? Plan your escape with these eight exciting destinations for family fun on a Blue Ridge Friday. Spend as much time as you want at Center in the Square. Neither you nor the kids will quickly bore, as there’s plenty to see and do. Check out the Roanoke Pinball Museum where you can challenge each other for the highest score on one of more than 45 machines dating from the 1950s to 1990s. Oh, and it’s an SOL-compliant museum as well, so even if the kids are missing school, they’re still learning. Also visit the Science Museum of Western Virginia, where families can explore everything from bubbles (for preschoolers) to healthy bodies. Kids Square is a hands-on space for toddlers to 10 year olds. From the Dig Pit to The Forest and every space in between, your littlest ones will have a blast! The Harrison Museum of African American Culture is a place to learn the history and see the art of the Roanoke Valley’s African American community, as well as unique international pieces. Your little ones may see it as a spaceship, but The Taubman is so much more than that. Appreciate the outside, sure, but then head inside to see the stunners on exhibit. Art from around the world, the region, and classic pieces from the 19th and 20th century permanent collection are the draw for parents while the kids clock to Art Venture, an exploratory space for ages 2 to 12. Calling all lovers of planes, trains, and automobiles! You’re going to love climbing aboard the famous steam locomotives at the Virginia Museum of Transportation, but there’s more to see! Play a game of “I Spy” to help your kids locate key objects like the Ford Model T Depot Hack or the Jupiter Rocket. What’s a day off of work if you can’t jump around and laugh a bit? With or without the kids, we love the Launching Pad! Show off the dunking skills you never knew you had and turn a flip or two to get the ol’ ticker pumping. Joust with your teen. I mean, to what better age group is there to swing a soft stick? 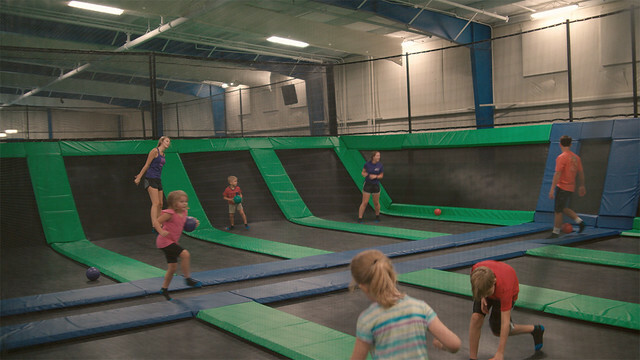 How about a family game of dodge ball? You may just stay here all day. Who doesn’t love the zoo? 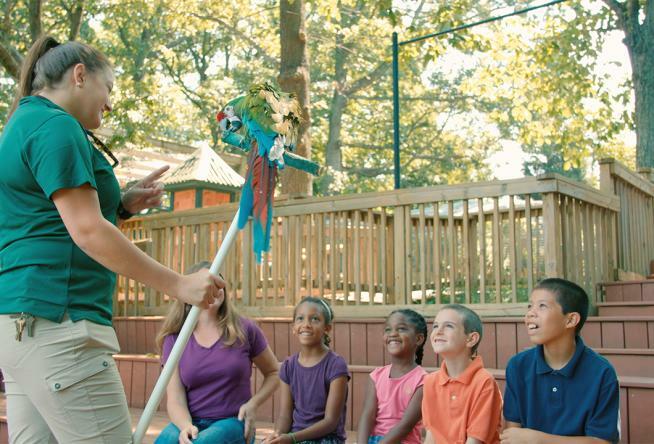 Bring your sweet little ones to visit the red panda, snow leopard, and Chinese water dragon, but don’t forget to ride the Zoo Choo! If your visit happens to fall on a third Saturday between May and October, you can have breakfast with the animals. Rainy days, sunny days, cold days, warm days … any day is a good day for a tour at Dixie Caverns. Spend about 45 minutes exploring the cave with a guide and then check out the rock and mineral shop to snag a souvenir. 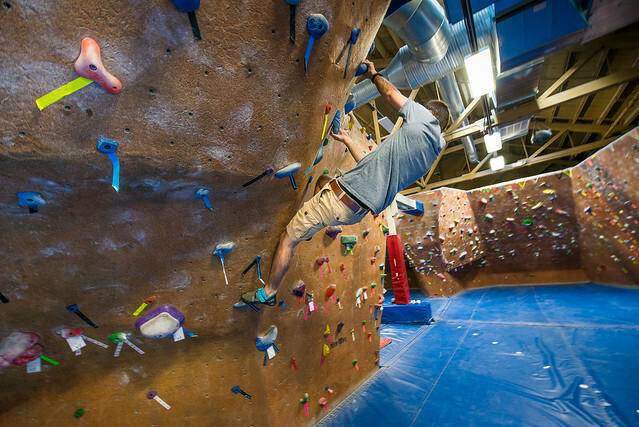 If climbing is more your thing than bouncing, gear up and reach new heights at River Rock Climbing Gym, an indoor experience. They have everything you need to be successful, and plenty of challenging routes to the top. Children as young as three are welcome to climb. Don’t let your vacation days become one of the unused 662 million. You’re too valuable for that. Instead, #CrushFridayVA in Virginia’s Blue Ridge. We have more than 600 miles of trails, a thriving craft beer scene, and plenty of art, music, and family fun to deliver a memorable weekend and longer.